I loved this temple in Kolkata. Quiet, well-maintained, it’s a welcome refuge from the world outside. Located on busy Diamond Harbour Road in Kidderpore, it’s an island of tranquillity. There is complete peace as you walk up the long flight of steps from the gate to the interior of the temple. I was reminded of the Shree Lakshminarayan Temple at Chander Road in Singapore. It is bigger than the Lakshminarayan Temple and the architecture is different too. While the Lakshminarayan Temple is an ordinary-looking house standing on a quiet lane, this temple with its long flight of steps and high dome is clearly a Hindu religious building. So why did it remind me of the Singapore temple? Because the deities look the same. 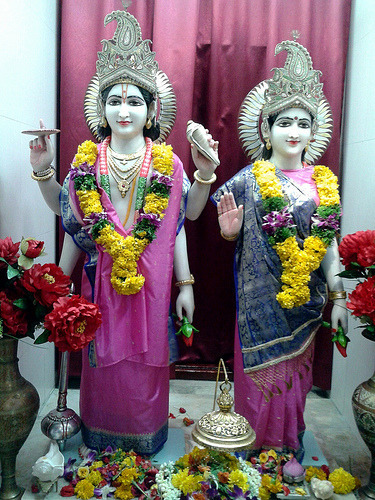 It is a North Indian temple like the Shree Lakshminarayan Temple in Singapore. 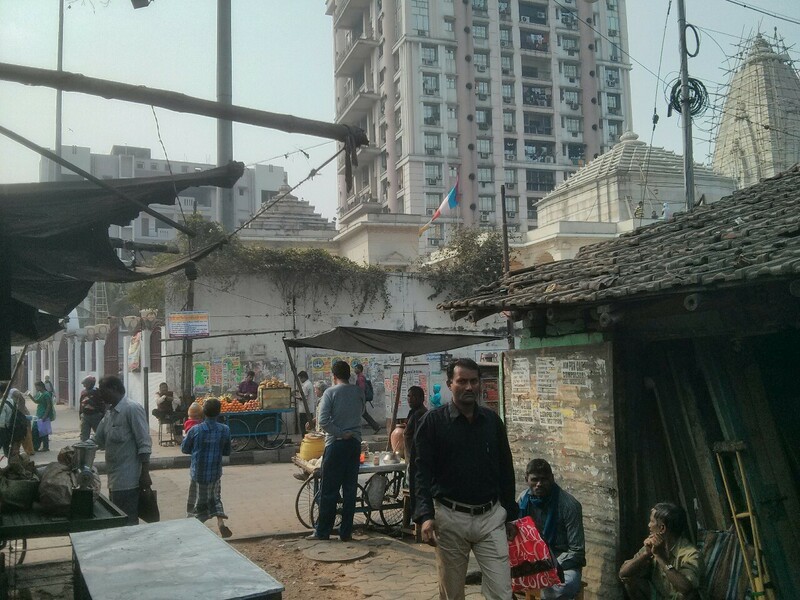 The priests and devotees are Hindi-speaking. There are differences between North Indian and South Indian temples. The differences can be seen in Singapore too. The idols in the Sri Veerama Kaliamman Temple on Serangoon Road look different from those at the Shree Lakshminarayan Temple a short walk away on Chander Road. South Indian temples predominate in Singapore because the majority of Indians there are Tamil-speaking. But what about the earliest Indians who went to Singapore with Sir Stamford Raffles? Where did they come from? We know Raffles was accompanied by Narayana Pillay, a Tamil businessman from Penang. But what about the other Indians – 120 in all, sepoys and lascars, assistants and servants – who arrived in Singapore with Raffles in January 1819? That would be surprising since Raffles sailed from Calcutta (now called Kolkata). Kolkata is part of Bengal and the Bengal Army back then was Hindi-speaking. So the sepoys (soldiers) should have been Hindi speakers. The lascars (seamen) were also likely to have come from the east. In fact, the Sri Veerama Kaliamman Temple was built in the 1880s by construction workers from Bengal, according to Wikipedia. But it is a South Indian temple. 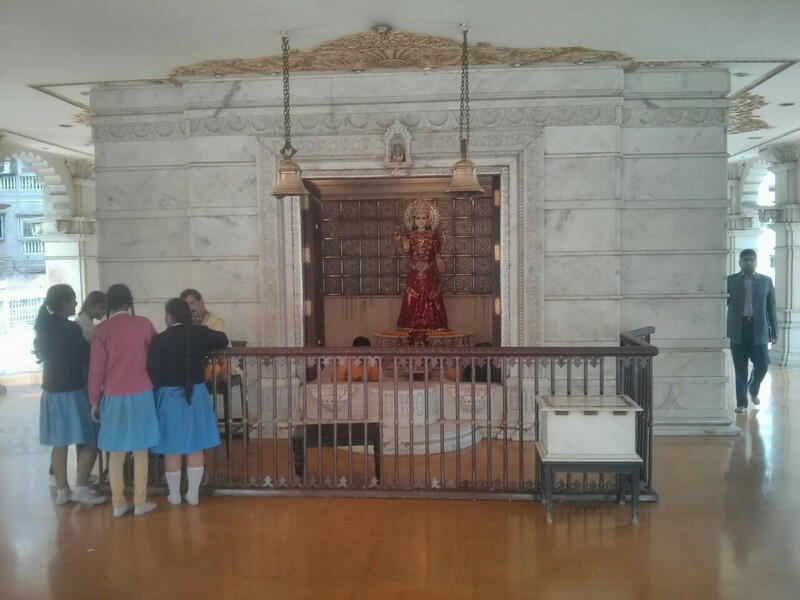 So is the oldest Hindu temple in Singapore. The Sri Mariamman Temple was founded by Narayana Pillay in 1827.